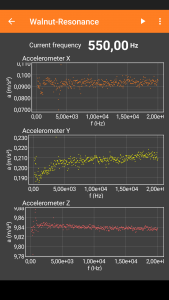 This is a somewhat more unusual experiment: A little more than a week ago, the SPQR group of the University of Michigan has demonstrated, that it is possible to manipulate the readings of an accelerometer with sounds at the sensor’s resonance frequency (Original source). They called this the walnut attack and you can reproduce this with phyphox. 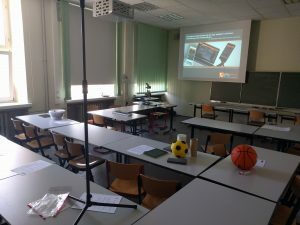 The phyphox version of this experiment generates a sine tone from the speaker and slowly sweeps it from 200 Hz to 20000 Hz while monitoring the data from the accelerometer. 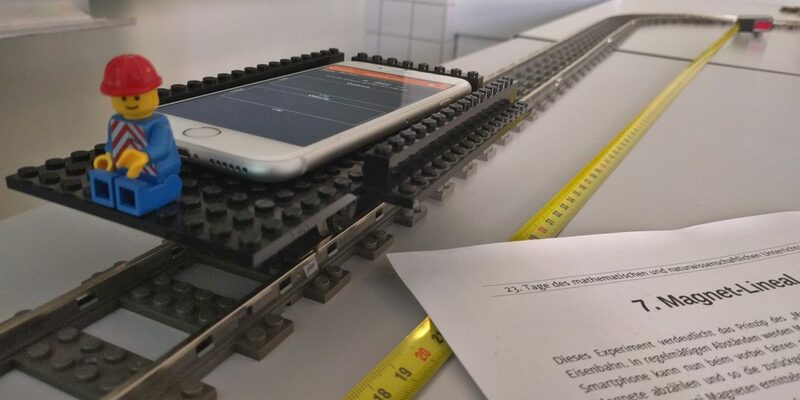 You can place your phone on a stable surface, start the experiment and wait for the result. 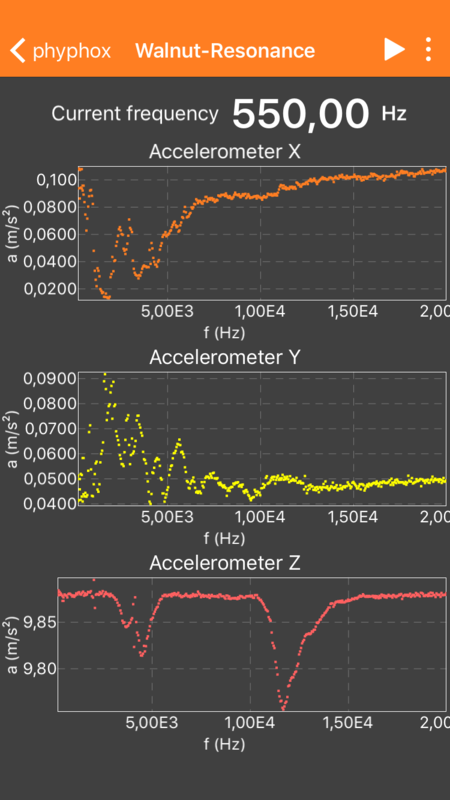 If your accelerometer is susceptible to this type of manipulation, you will see resonances, like in this example from an iPhone 6s. 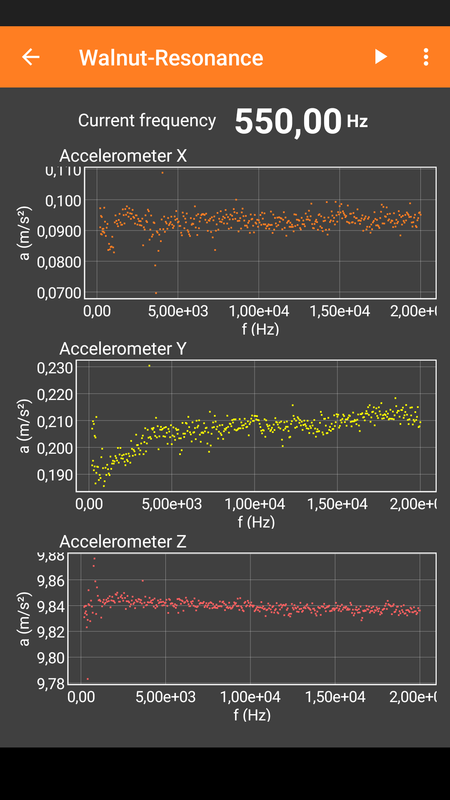 You can clearly see how the readings from the accelerometer deviate at certain frequencies although the phone is resting. If your phone is not susceptible, you should barely see any deviations at all like in this example of an Nexus 5X. 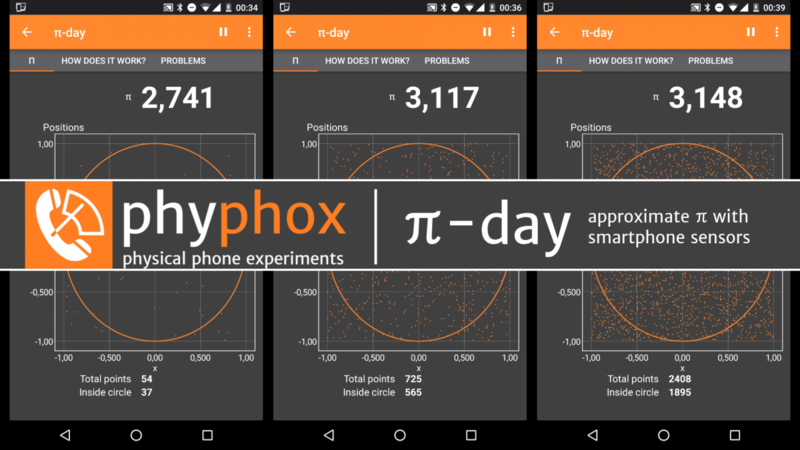 Let’s celebrate it by approximating π with smartphone sensors in a fun little phyphox experiment. With a smartphone and phyphox you can easily explore oscillations: A simple spring oscillator, a damped one or the resonance of a driven oscillator. 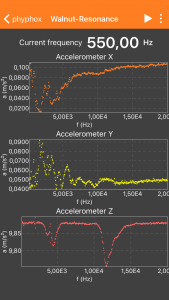 This is the first of two videos on oscillations with phyphox.